Kids thrive on adventure and discovery, grow in character through fun experiences in the outdoors, and become aware and responsible by caring for more than themselves. This is what Fly Fishing is all about - it's the perfect medium for this journey! Discover: It’s not about lectures. It’s about developing skills and knowledge through hands-on experiences that stimulate the imagination for a lifetime of learning & enjoyment in the outdoors. Connect: It’s not about virtual reality. It’s about real interaction with other youth, with family, and with nature. Try connecting with a fish on a fly, and you’ll see why! Protect: It’s not about taking. It’s about taking care. Today’s youth are the leaders of tomorrow. The more they know, the better they’ll enjoy and protect the waters that nourish fish and people. As Bay Area Fly Fishing Clubs, Conservation Organizations, and Fly Shops, we collaborate with Regional Parks, State Agencies and strategically aligned Youth Organizations to deliver fun and rewarding outdoor learning experiences that engage kids early, hold their attention as they mature, and enable their personal growth. Fly Fishing Clubs: Youth will learn from technical experts and skilled teachers passionate about sharing their knowledge with youth. Conservation Organizations: Youth will enjoy professionally developed educational programs, camps, and conservation field trips. Fly Fishing Retail Shops: Parents will be able to purchase program specified fly fishing outfits designed for youth from local fly shops. Using youth friendly gear and expert mentors, we enable youth to grow as fly fishers and natural resource stewards through fun, challenging, and rewarding Educational, Conservation, and Recreational activities offered throughout the year in a progressive learning program . Education: A graduated learning and fly fishing skills development program tailored to specific age groups. Casting, Knots & Rigging, Fly Tying & Fish Food, Fishing Techniques; Stalking, Catching & Releasing Fish. Recreation: Fun youth & family events at Bay Area casting pools, age appropriate fishing outings to local ponds & nearby streams; fun casting games & competition; Youth Club social activities. Conservation: Access Trout in the Classroom, Trout Unlimited, and California Trout expertise and participate in conservation project field trips and volunteer opportunities. The legacy of Fly Fishing skills development and Conservation ethics is deeply rooted in the Bay Area. You can't be in a much better location than the SF Bay Area if you're interested in becoming an accomplished fly caster, angler and environmental steward. With a dozen fly fishing clubs, three world class casting pools, five excellent fly shops, influential non-profit and government conservation organizations, key members of the world champion U.S. Casting Team and a legacy of fly fishing technique and equipment development, what more could you ask for? 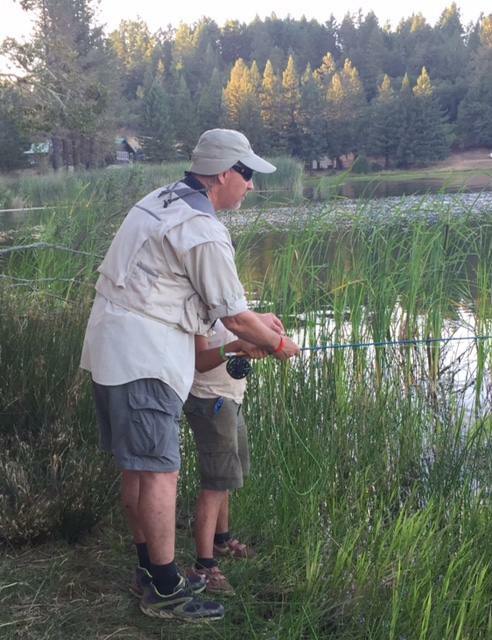 How about knowledgeable and patient experts volunteering their time to inspire youth with their love of the sport and of the environment, great weather and exceptional fly fishing in the legendary rivers of Northern California! ready to get your young person started? The Bay Area has many fishing opportunities close to home - in the East Bay, North Bay, South Bay and on the Peninsula.